Robert "Bob" Hastings is an American film, radio, and television character actor. He has also provided voices for animated cartoons. This article is about Bob Hastings the actor. 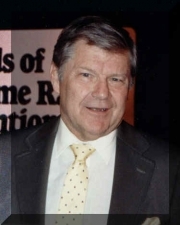 For information about the Public Relations Professional with a similar name, go to Robert T. Hastings, Jr.
Hastings was born in Brooklyn, New York, a son of Charles and Hazel Hastings, Sr. His father was a salesman. Hastings started in radio on "Coast-to-Coast on a Bus" . After serving in World War II as a navigator on B-29s, he played the role of Archie Andrews in a series based on the Archie comic book series on the NBC Red Network, later just the NBC Radio Network, after NBC divested itself of its Blue Network in 1942. Archie Andrews was sponsored by Swift & Company food products. Hastings later moved to television in 1949, performing in early science-fiction series, including Atom Squad. His first recurring role was as a lieutenant on Phil Silvers' show Sergeant Bilko in the late 1950s. Most of his career has been spent in television, including an episode on Green Acres as a sheriff. Also Hastings is remembered for roles including Captain Binghamton's aide, yes-man Lieutenant Elroy Carpenter on McHale's Navy called "Carpy" by McHale and his men, and Captain Ramsey on General Hospital. He was also the voice of the Raven on some of the episodes of The Munsters. He was briefly the host of the game show Dealer's Choice, and had a recurring role as bar owner Tommy Kelcy on All in the Family. After McHale's Navy, Hastings was a regular on the Universal Studios lot, where Universal paid actors during downtime to be on the grounds and talk to tourists. According to an interview on Time Travel Radio, he got along so well with the people that he became one of the few regulars on the tour. Hastings played Cousin Phantom of the Opera in the TV movie The Munsters' Revenge. Hastings was in the 1968 Universal film Did You Hear the One About the Traveling Saleslady? starring Bob Denver. Hastings was in the 1971 comedy movie How to Frame a Figg, starring Don Knotts. Hastings also was in the movie Harper Valley PTA in which he played Skeeter Duggan, a member of the PTA board who had been kidnapped at the orders of its dishonest president to commit election fraud. 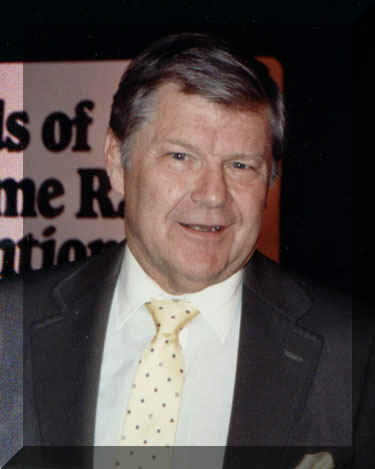 In 1967, Hastings recorded an LP for Home Records Inc. entitled Bob Hastings Sings For The Family (HR-101), with 12 songs arranged and conducted by Bob Caudana. Hastings has also done voice work for animation and commercials, including Beany on Beany and Cecil, The Raven on the Munsters series, Superboy in the The New Adventures of Superman cartoons of the 1960s, D.D. on Hanna-Barbera's Clue Club, and the voice of Commissioner Jim Gordon in the popular Batman: The Animated Series and its various spinoffs in the DC Animated Universe, such as Batman: Mask of the Phantasm, Superman: The Animated Series, The New Batman Adventures and several Batman video games. He also voiced Henry Glopp on Hanna-Barbera's animated series Jeannie in 1973 and additional voices on Challenge of the Superfriends. Hastings is the brother of longtime As the World Turns star Don Hastings. He has been married to wife Joan Hastings for over 60 years and has four children, 10 grandchildren, and seven great-grandchildren. He continues to tour the country as a participant in various Old-Time Radio Conventions, reading scripts for such shows as Archie Andrews and The Bickersons. He has recently appeared at the 2010 Cincinnati Old-Time Radio Convention, the Old Time Radio Showcase 2010 in Bellevue, WA in June, and at the Friends of Old Time Radio Convention in Newark, NJ in October 2010. Hastings will be performing on stage for attendees. Whole or part of the information contained in this card come from the Wikipedia article "Bob Hastings", licensed under CC-BY-SA full list of contributors here.